Get 90GB extra @ Hathway Internet ! 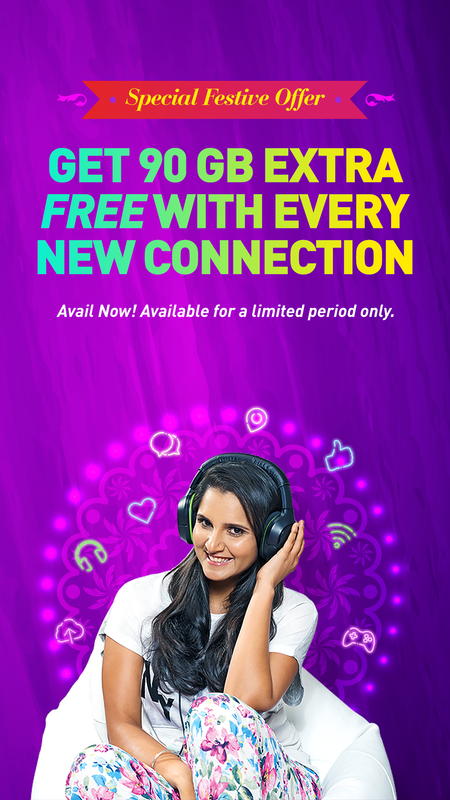 Customers will get 30 GB extra for first three months, means total 90 GB. Once you purchase this offer, a Hathway representative will call you back. 1. Customers will get 30 GB extra for first three months, means total 90 GB. 2. Offer is applicable on select plans. 3. Offer is for new subscriptions. 4. Offer is applicable in Mumbai, Pune, Indore, Kolkata, Bangalore and Delhi.